For when you want a little countertop cooking. Whether you’re planning on roasting a whole chicken or you just want to reheat a slice of last night’s pizza, the best toaster oven should be able to cook food the way you want it without requiring too much of your time or energy. We baked cookies, toasted bread, made fresh pizza, and reheated leftovers in 11 of the best models on the market. We found three excellent toaster ovens for different budgets and cooking needs. We only looked at toaster ovens that had received high scores from sites like Consumer Reports and America’s Test Kitchen. Unfortunately, these sites focused almost exclusively on the priciest toaster ovens available. Knowing that not everyone wants to spend half-a-grand on a toaster oven, we also included top sellers with great user reviews from retailers like Amazon and Bed Bath & Beyond. Budget ovens: Every toaster oven should evenly toast a tray of bread and reheat leftovers better than a microwave. 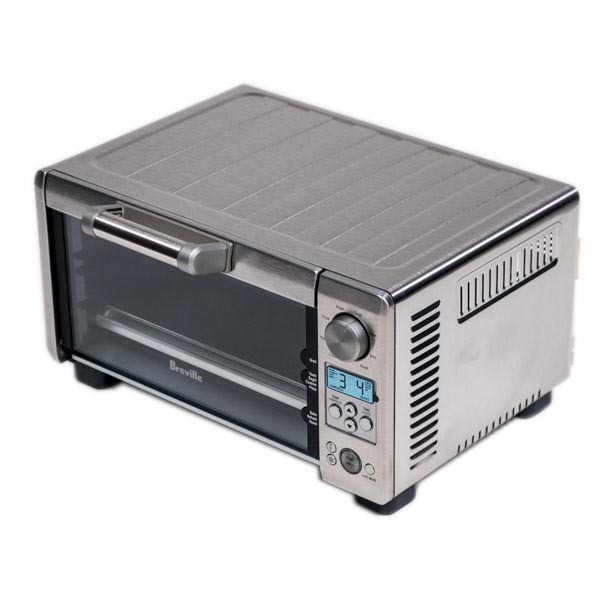 L: The Breville Mini Smart Oven's toast. R: The Kitchen Aid's less even results. Mid-range ovens: Toaster ovens that cost $80+ typically use convection technology that should yield consistent, accurate heating and tackle more nuanced tasks. The best mid-range toaster ovens consistently yielded perfect cookies. High-end ovens: Bigger internal capacities and more cooking modes shouldn’t be all talk — they should expand your cooking capabilities and potentially give you an oven replacement. Our high-end pick, Cuisinart, produced stunning results on “Pizza” mode. No matter the price range, a toaster oven shouldn’t be a pain to use; but that’s not always the case. 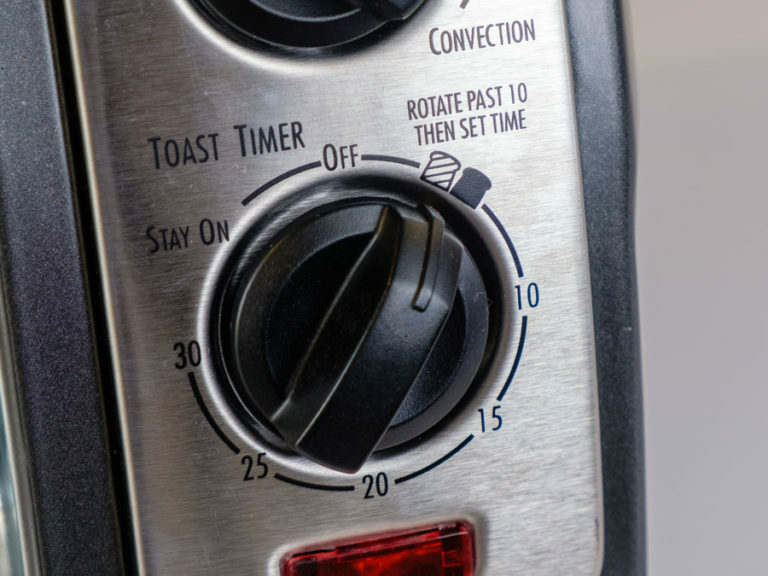 We looked for details like a distinct dial for desired toast shade and a clear way to tell if an oven is preheated. The less babysitting and guesswork involved, the better. On some budget models, the distance between the light and dark shades on the dial was often miniscule, which forces you to babysit your toast. The quality of an oven’s presets are an indicator of ease-of-use, too. While presets aren’t a guarantee of quality, some are much more useful than others. Hassle-free presets make adjusting settings simple. Ovens got extra points for including intuitive options, like those that let us choose the number of bread slices to toast, and specific go-to settings for common toaster-oven fare, like cookies and pizza. An intuitive oven that consistently exceeds expectations. The Breville has the same 1800-watt power as toaster ovens that cost $100 more. Before we started testing, we were skeptical of the Breville’s “Element IQ” heating, but it’s not just marketing: The Breville delivers amazing results by targeting its heating elements according to your chosen presets. Its eight customized settings include "Cookies," "Toast," and "Pizza.” We were unsure how well these presets would work, but the results spoke for themselves: The Mini Smart Oven made chocolate chip cookies with crunchy edges and a gooey interior, and it produced the best batch of toast of any model we tested. Through all of our tests, the Breville was the most enjoyable to use. You won’t be constantly forced to consult the manual or second-guess what you’re doing. It guides you through every step to help you get the best results. If you choose the toast setting, the Breville prompts you to pick a shade from a seven-point scale, then how many slices you’re making. It also tells you when it’s preheating and when it’s ready — a minor convenience, but essential for those doing a lot of baking. The Breville's control dial made it easy for us to start cooking. With a sleek stainless steel finish and minimalist control panel, the Breville is elegant to look at. The only thing that separates the Breville Mini from pricier toaster ovens is its size — it’s a little smaller than most other models in its price range. But if you’re not looking for a kitchen centerpiece, you’ll appreciate how little room it takes up on the counter. 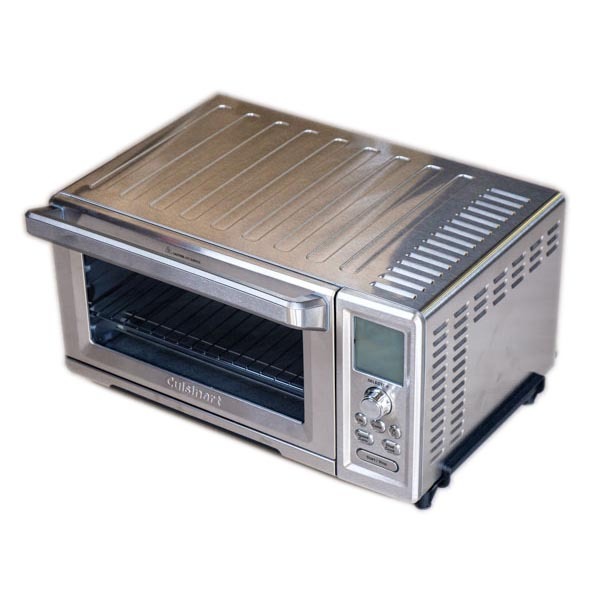 Unlike our upgrade pick, the Cuisinart, it’d be hard to replace your conventional oven with something this small. We actually appreciated how snugly the Breville fit on the counter — you won’t have to rearrange your whole kitchen just to accommodate it — but if you’re looking to roast a whole chicken in your toaster oven, you’re better off opting for something roomier. A simple machine that’s perfect for toast and leftovers. The Easy Reach Oven is a sturdy, no-frills machine. It has settings for baking, broiling, toasting, and convection baking — more cooking modes than any other budget option we looked at. And it’s designed to do the basics really well. It toasted bread and reheated leftovers better than other toasters in its price range, producing results that were even and consistent. What really won us over was the Easy Reach Oven’s door design. Unlike every other model we tested, the Hamilton Beach has a door that rolls up instead of folding down. 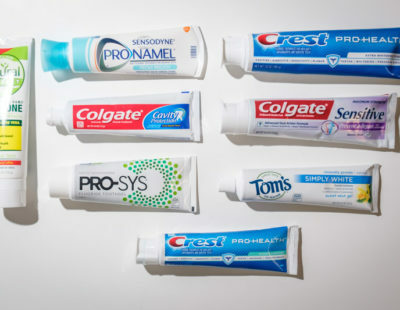 It may seem like a pretty trivial detail, but it makes a huge difference in how often you have to clean. When you pull the rack out on most toaster ovens, it sits directly above the glass door. That means most oven doors become a repository for crumbs and oozing pizza cheese. The Hamilton Beach remained pristine throughout all of our tests. It also felt safer: instead of reaching above a scorching piece of glass to pull out your food, the door stays safely up out of the way. The oven’s uniquely practical door design secured it as a favorite. As soon as we took the Easy Reach Oven out of the box, it felt more impressive than other budget options. It was by far the largest of the group we tested, with an internal capacity usually reserved for models twice its price. Not everything cooks perfectly in the Easy Reach. In our toast test, the middle pieces were noticeably darker than the edges of the outer slices. But that’s basically par for the course, even with larger toaster ovens costing over $200. If you’re going to be cooking four or fewer slices at a time, it’ll do the job. It’s also not well-suited for dishes with long cooking times. The timer only goes up to 30 minutes, a good measure of what you should expect out of a toaster oven for this price. If you’re planning on using it for dishes that take longer than that, it’s worth upgrading to the Breville Mini Smart Oven or the Cuisinart. The whole package; it might just replace your conventional oven. 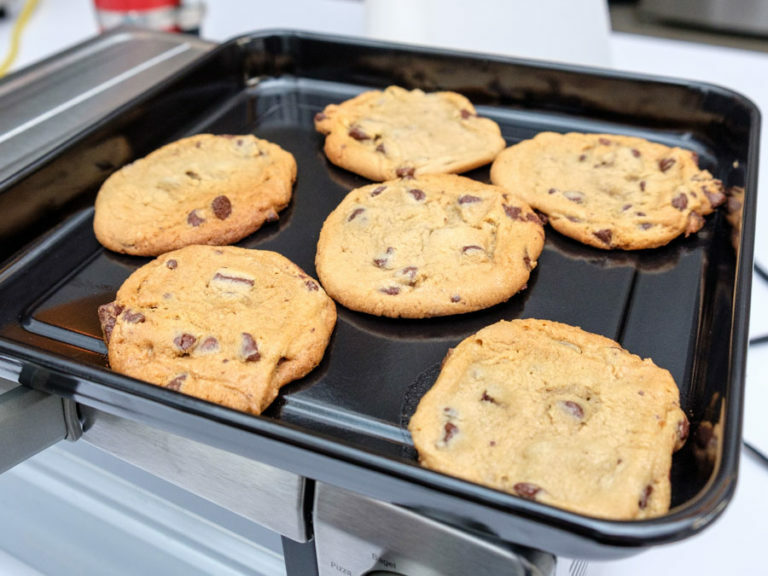 The spacious Cuisinart Chef's Convection Toaster Oven can seemingly do everything a full-sized oven can: roast an entire chicken, cook a 13" fresh pizza (the best pizza we tasted during testing, we might add), and bake a fresh batch of cookies. While other toaster ovens only have room for four-to-six slices of toast, the Cuisinart managed to fit nine — so there’s plenty of space for more ambitious meals. For as much functionality as the Cuisinart gave us, it was also one of the easiest to use. There was a thoughtfulness in features like the +30 second button and the interior light that the other models just didn’t match. 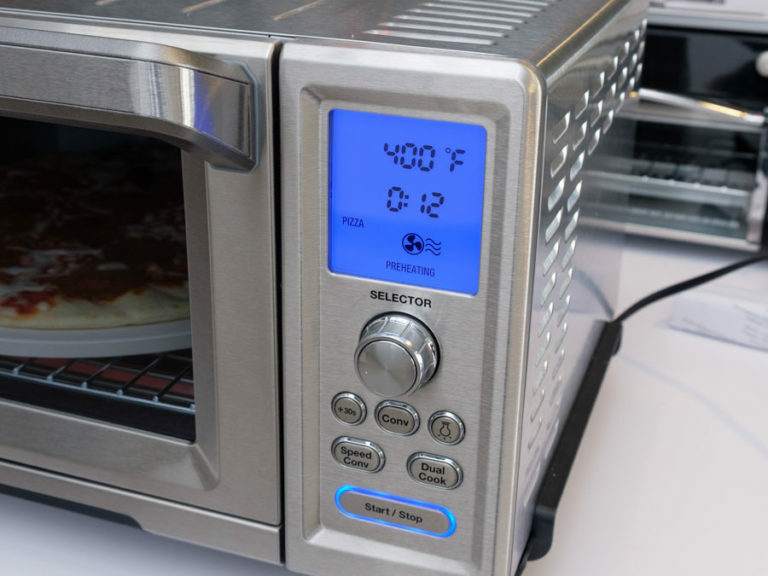 It has 12 preset cooking modes, more than the other high-end models we tested. And while more isn’t necessarily better, it was nice not having to think too much about getting the settings just right. Whatever we could imagine cooking in an oven, the Cuisinart had an option for. Even better: it guided us through it. The Cuisinart's cooking presets plug in time and temperature automatically. Need to adjust? Just turn the dial to choose between settings and turn them up or down. Additional, unmatched details separate Cuisinart from the rest of the pack. It comes with a 13” pizza stone, as well as separate pans for baking and broiling. Cuisinart also offers a three year limited warranty, where others — including the Breville — are only valid for one year. Its dimensions are about 21” x 17” x 12” — a necessity in accommodating its roomy internal capacity. It all comes down to what you want out of a toaster oven. The Cuisinart will take up a ton of room on your counter, but you may never have to turn on your oven again. If it’s going to be a convenient tool (that you actually use), a toaster oven needs to fit seamlessly into your life. 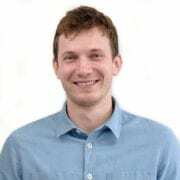 Important factors to consider include: the finish of your other appliances, the depth of your countertops, and how much space you’re willing to give up to a new appliance. What will you cook in your toaster oven most often? 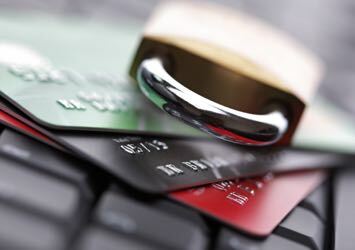 The answer to that question will determine how much money you can get away with saving. If you know you need it to cook a fresh pizza with bubbly cheese and crispy crust, you’ll need to spend more than someone who only wants golden toast and evenly cooked leftovers. 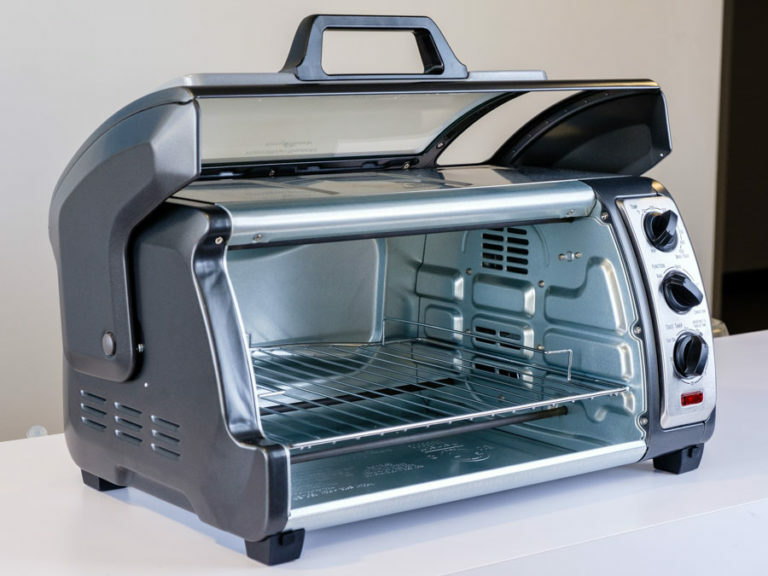 If you know your space and cooking habits, you can figure out what you’ll need to spend for a toaster oven that meets your needs. Each of our top picks is best-in-class for its budget level. Can a toaster oven save me money? According to a study by Energy Star, toaster ovens use about half the amount of energy as a conventional electric oven when cooking small meals. That could mean as much as $0.30 saved for every hour you spend cooking. What can I cook in a toaster oven? From muffins to bacon, the toaster oven’s utility is broad. 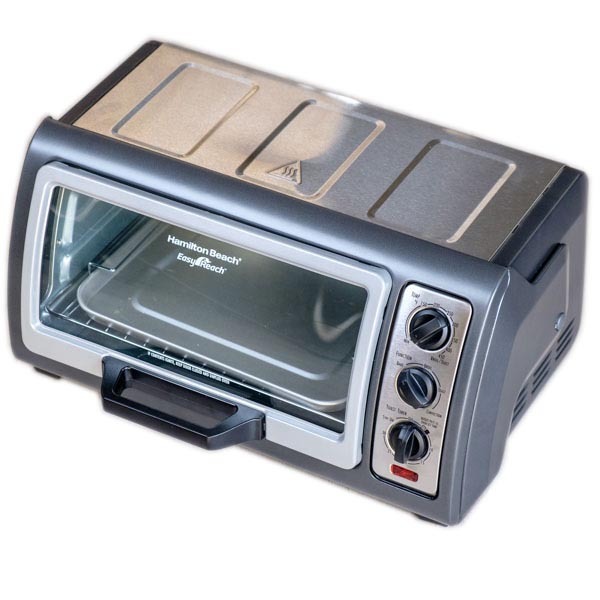 The Hamilton Beach website says they’re “great for small-batch recipes [that you] bake, broil, or toast” — beyond that, it seems limitations differ according to price. 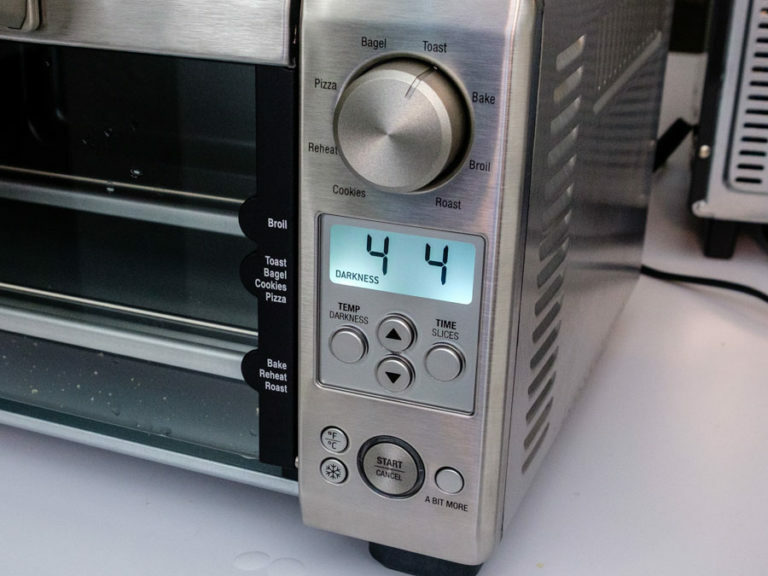 The most basic toaster oven will handle toast and leftovers. The more you pay, the more likely your oven will accomplish tougher tasks. What can’t I cook in a toaster oven? At the very least, don’t use Pyrex, glass cookware, or parchment paper in your toaster oven. Pyrex, in particular, explicitly warns against it. And glass cookware, in general, runs the risk of fracturing or shattering from repeated exposure. What does “convection” really mean? Convection heating works by moving hot air around to keep temperatures consistent throughout an oven. This cooks food faster, so it’s recommended you reduce the temperature by about 25 degrees and start checking in with about a quarter of the time left. 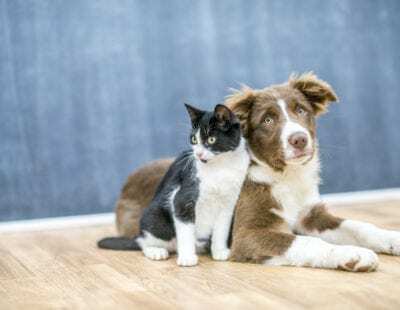 Convection heating can also dry food out, so be careful with desserts like cakes and souffles. Overall dimensions 14.25" x 16" x 8.5" 9.5" x 18.75" x 15.25" 21" x 17" x 11.5"